Oh America, you really do like leading the world don’t you? After all, we hopelessly fall prey to the clichés you’ve painted and trends you hype up for the rest of the world to follow suit. Your influence is notable. It’s left us Aussies wishful for a white Christmas when we know it’s damn impossible floating between the Indian and Pacific Oceans on the other side of the globe. But this is where we can say you don’t rule us, because our differences can’t all be tamed to compromise and do things your way. Take this upcoming holiday season – it’s time you see how a summer filled Christmas is done instead of us hearing all about your Winter Wonderland. And hey, someone’s got to represent and speak up for all the other nations along the equator and suffering the same heat waves we are during this joyful celebratory season! 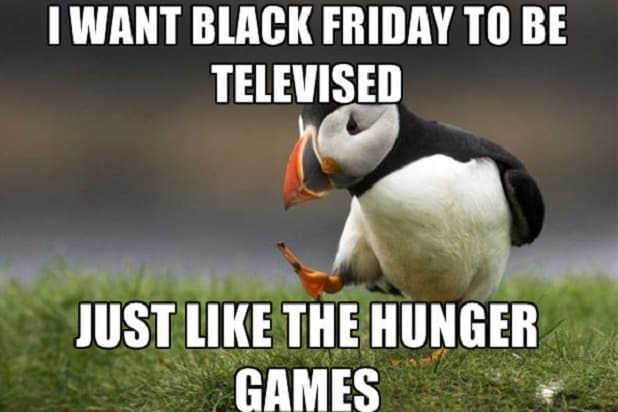 Admittedly, your Hollywood portrayal of Christmas has clouded us with some false depictions of reality, but one thing we do know about is your crazy Black Friday following Thanksgiving (another thing we get wishful over). For you it marks the official start of the Christmas shopping season and a stampede. The only thing we’re bummed about is the reminder to actually get gifts in the first place, but we don’t envy the burden (and spending) you load yourselves with. For us, it’s Boxing day that matters. While you lot may wake up early to rush to your Christmas tree to tear open wrapping paper, we’re setting our alarms to line up in front of David Jones to get our hands on anything – cause any other day of the year we’d usually just be going to Kmart, Big W or Target and can’t afford the luxuries of Myers and David Jones. Music helps paint the atmosphere and mood around us. Door knocking and carols seem to be a regular thing in your streets. Down Under, we’re not that big about it. We don’t have that much of an obsession with Christmas themed music being played voluntarily. Although the occasional festive playlist croons through the speakers in shopping centres, the truth is we are stripped of the picturesque scenery projected in your films: getting hot chocolates with friends or family, driving past aesthetically lit houses covered with snow, seeing people in beanies, scarves and gloves while the jingles and bells of Christmas are subconsciously heard in the background. It feels like we would have no other choice but to feel festive. CD’s, you might just put on the latest So Fresh hits). In all seriousness though, we’re all about leading up to the Triple J Hottest 100 for the New Year. I went grocery shopping at Coles the other day, and for the first time in my life I saw eggnog being sold. Now I’ve heard all about it, but never looked into what’s in it – obviously there’s egg – but you’re mixing that in with milk, cream and sugar and that’s it. There’s even the option of brandy and other spirits to be added. Who doesn’t like options? We like to drink though. I’m not saying we’re alcoholics, but Christmas is so festive and full of celebration that it’s the perfect excuse to bring out coolers stacked with ice and cans of VB, Carlton Draught, Tooheys New or boxes of goon bags for those of us still living out our uni days. 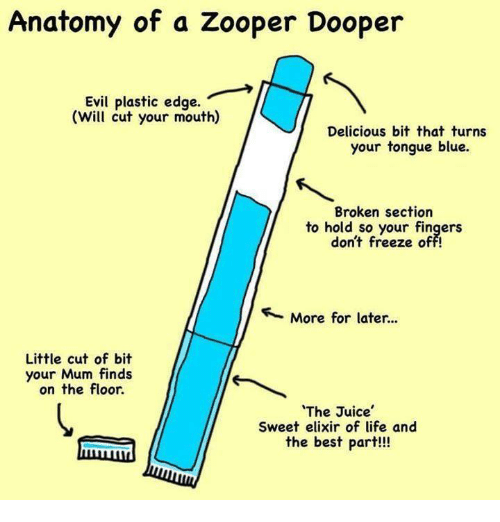 While you keep up that pumpkin spice trend from Thanksgiving and have the occasional (minty) hot cocoa steaming in front of your face, we’ll be drinking it up and reaching into our eskys hoping there are Zooper Doopers somewhere in there. All the science you need to know for how we get through this hot festive season. Source. Oh, and drinks need to be accompanied by food. You guys traditionally have a nice warm roast, most likely doing the yearly Thanksgiving dinner 2.0 with added sprinkles of Christmas, making us wonder what pumpkin and pecan pies taste like. If we’re going all out for Christmas here, seafood is the fancy way to go. Sometimes we’ll probably get a cooled off roast in the backyard. But other than that, it’s a classic barbecue outdoors. It’s also all about the pavlovas we steal from New Zealand anyway, or a nice trifle to dive into. Fireplaces seem like the personification of Noël. It all started with stories of Santa Clause making his way down the chimney to deliver the goods when we were kids. Do you spend time huddled around the fireplace, all merry listening to stories, eating mince pies or watching a Christmas movie? You know what we have? Beaches. This is the prime season to not only scorch our heels running across hot sand, but to get the perfect tan (or sun burn) and be refreshed by the cool waves of the ocean. We enjoy the festivities, opting for a chilled out vibe. For those of us who live in-land or countryside, we may escape to the coast on some days; but we can have a relaxing time in the backyard with friends and family, away from the hyped plug and marketing of Christmas that almost renders it fake at times. /> I feel like while we’re chilled out on the beach with a tinny, this is how you lot deal with the stress of setting up a perfect Christmas? Source. Decorations galore is very much your thing. Our cities, towns and streets are still garnished with Christmas lights, but they don’t come at us left, right and center. Besides, as much as the aesthetic nature of Christmas lightens us, beyond that at heart it is always about bringing family and friends together, and no number of illuminations could or should ever outshine that. You’re more likely to see kangaroos pulling at sleighs here rather than reindeer, just FYI. One more thing… Christmas sweaters. There are ones that looks comfy and snugly, perfect for sitting by the fireplace with a mug of hot cocoa looking out the window as snow falls outside. Then you have the ones that define the stigma of Christmas sweaters that shouldn’t even be worn as a joke. Here, we keep it simple: no Christmas themed clothing is worn unless your work place demands it, or you’ve got a Christmas themed pub crawl going on. Just give us our tank tops, swimmers, shorts, thongs and a tub of sunscreen; that would be the perfect Christmas present. If the sweaters make you this happy though, go for it. Source. While some of us are jealous and want to be a part of your Christmas season, we’re also not saying we’ve got it bad here. The festive spirit exists in the form of relaxation, straying from the hype that delivers a classical package of Christmas exported from your land. Either way Christmas is Christmas and we all just want a nice holiday, hot or cold. In all seriousness, Merry Christmas! Source.